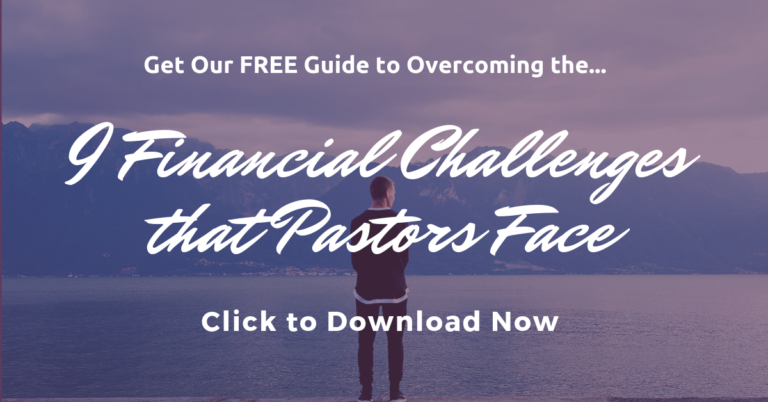 Pastors, missionaries and other ministry leaders often find themselves in need of extra cash. But sometimes it is difficult to think of quick and easy ways to earn extra money that won’t take away from ministry responsibilities. One great way to earn extra cash quickly is to sell stuff you own but no longer need. Even if you think it’s not worth much to you, it may be worth something to someone else. Truly, one man’s trash is another man’s treasure! You can take it a step further and not just sell your own stuff, but also buy other new or used merchandise at a low price and re-sell it for a profit. You can find great deals on resalable merchandise from surplus dealers (both offline and online), thrift stores, estate sales, yard sales, garage sales, and auctions. And speaking of auctions, there are many different kinds: Municipal governments auction off excess equipment, police departments auction stuff they’ve recovered from criminals or impounded, storage companies auction stuff that people leave in their rented storage units, estates auction household goods, and stores auction their merchandise and equipment when they go out of business. eBay – eBay is a vast online marketplace where you can buy and sell anything from jewelry to collectibles to toys to cars to houses and more. It’s easy to set up an account and begin selling things on eBay. You can start by selling stuff that you or the kids no longer want or need – whether new or used. And anything else you can buy cheap and resell for a profit. At eBay, all your sales are handled online, and eBay earns a small portion of the sale price as its commission for facilitating the sale. Here’s a free course on how to sell on eBay from eBay’s first Entrepreneur of the Year, Francis Ochoco. Amazon – Amazon.com is another great place to buy and sell stuff online. It started out being a place for just books, but it has grown to also include electronics, fashions, housewares, gift cards, and more. At Amazon, all your sales are handled online, and Amazon earns a small portion of the sale price as its commission for facilitating the sale. Craigslist – Craigslist is basically an online version of your local newspaper’s classified ads. But unlike your newspaper, you can list stuff for sale at Craigslist for free. Just about anything can be sold on Craigslist – from goods to services. And we’ll talk more in my next post about how to make extra money by offering a service. With Craigslist, you advertise your items for sale on its website, then prospective buyers contact you by phone or email and make arrangements to come to your home or other location to inspect and buy the merchandise. If you sell via Craigslist, I recommend you accept only cash for anything you sell. Flea Markets – Flea Markets are great places to sell stuff because hundreds or thousands of people come to the event because they want to buy something. But, Flea Markets require more of your work and time than the online options mentioned previously, because you actually have to set up a booth at the Flea Market, bring your own tables and chairs, and haul-in all the stuff you want to sell. You’ll have to pay an entry fee to set up your booth at the Flea Market. And you’ll have to be prepared to handle the cash for each sale. Personally, I’ve sold quite a few items on Amazon over the last 6 years, and a few things via Craigslist. I haven’t sold anything on eBay or at Flea Markets yet. What about you – have you made any money via these methods? What else would you recommend to pastors looking to make extra money? For more great ideas on how to make extra money, check out: 250 Ways to Make Money. My name is Randy Paul and I am first and foremost a full-time missionary with my wife, Tawny. We serve the low-income and impoverished in Albuquerque, NM as well as the native Americans on the local reservations. I browsed through the Money Wise Pastor site and I wanted to comment here as a way to encourage you all to continue the good fight and not to grow weary in well-doing. As full-time missionaries, my wife and I are ALWAYS looking for ways to raise funds for our missions work and to help other missionaries, Christian servants, and ministry supporters raise funds for service. This brings me to the second reason I am writing. I hope this will not be considered ‘Self Promotion’ as the site I am introducing here is a fundraising tool for ALL Christian servants. It is a not profit and 60% percent of the revenue is funneled BACK into the Christian Church and missions arena. We are excited to present you with our organization, ‘Sell To Serve’. We are a ministry support group and base our operation on the concepts defined in Acts 4:32-35. Our main tool for ministry support is our Online Auction platform. The primary focus of the auction is -FUNDRAISING- and specifically assisting people raise funds for ministry needs. WE ARE A NEW SITE. We need and welcome both sellers and buyers to register and help build the Sell To Serve community. Be part of this grass-roots movement! Our fees are about 1/2 of what ebay charges and the first 4000 registrants receive additional discounts! Come visit us at http://www.selltoserve.org !